It is an era of technology and smartphones, don't you think? 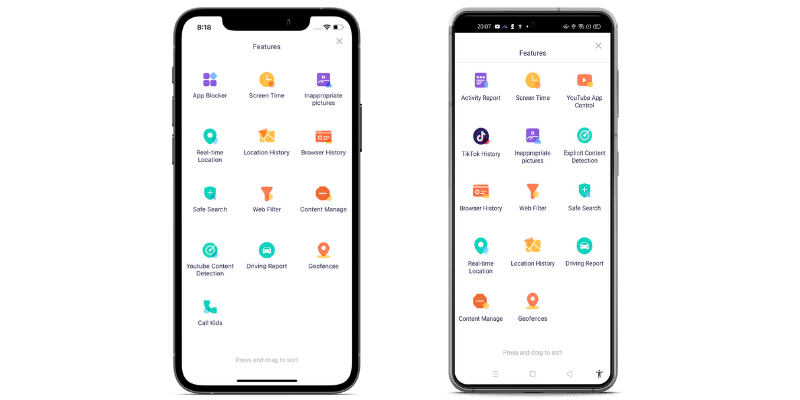 The smart features on the smartphone enable a user to communicate and connect with absolutely anyone across the globe. However, as a parent the concern for your kids will continuously rise given everything is at the tip of their fingers these days. It brings the need to monitor your child's digital activities and keep them safe from every possible harm there is. If you think your child is in connection with someone, they shouldn't be with; then the SMS tracker can come to your aid. It will tell you what your child is up to. Today, a parent can easily find an SMS tracking application online and use it for monitoring. Take a look at the list of SMS tracker for android and SMS tracker for iPhone that we have in store for you. Let's look at the 5 best SMS trackers that you can use for iPhone. It is bound to be the most reliable app for parents to control and keep an eye on their kids and surely very popular SMS tracker for iPhone. From app blocking to location tracking, screen time control, and filtering it does it all. Though this SMS tracker is being mentioned with the list of best SMS trackers for iPhone, it can efficiently perform all the exceptional features mentioned above for Android supported smartphones. It is not an easy work to be a parent; however, you can put your worries to sleep with FamiSafe. It is effortless to install, and the long list of incredible features is enough for you to give it a try. Do you wish to know the best part about this SMS tracker? Take a look at the features. It enables the tracking of the user's phone. Geo-fencing is also available. You can block apps and monitor the usage of different apps by this SMS tracker for iPhone. Web content filtering is another incredible feature of this SMS tracker. Control and track the screen time usage. Don't you want to know where your child is? Certainly, you do. This app will help you view the list of locations they have been as well as their current location. Keep the apps blocked as your child sleeps, studies, or is in school. Keep your child safe and above from every form of online threat by blocking all kinds of inappropriate website or content. Tracking for how long they are glued to their phones is now possible. You can even set a limit to the screen time. A personalized app for the use of every parent. None that has come in focus. It is an extremely popular SMS tracker for iPhone. It has been designed for every concerned parent to keep a watchful eye on their children. You can view all the text messages they receive very easily on their iOS device. Track every kind of information you want with FoneMonitor. Offers GPS tracking of the target's phone. You can remotely read the text messages. Keeps track of almost 39 types or kind of data. You will be able to view every single text message received and sent. Several other features are available for monitoring. You can browse through the history of your employee or kid's phone. It works perfectly with Mozilla Firefox to Google Chrome. Make the most of the GPS tracking feature to know where your little one is at all times. It doesn't remain a secret. Your child or employee knows that you are watching them. Another useful SMS tracker for iPhone that comes with a list of useful features for you to use. You can track messages with it from your phone. 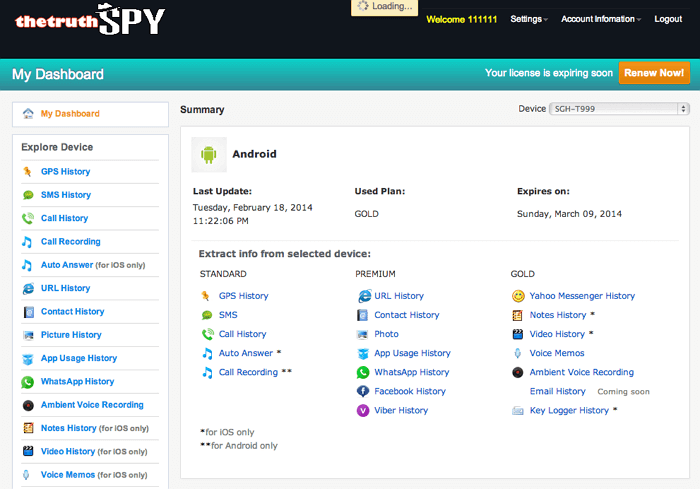 Whether its keeping track of your children, spouse, or employees - GuestSpy will help you out with all of it. All you must do is install it in the phone of a person you want to keep an eye on, and the rest will be done. There are several exciting features present in this app. Viewing the messages on the target's phone is quite easy with this app. You can even view videos and photos sent or received from the target's phone. All in one tool for parents. This app doesn't support the voice call interception feature. When you purchase the standard version of it, the features are going to be limited. 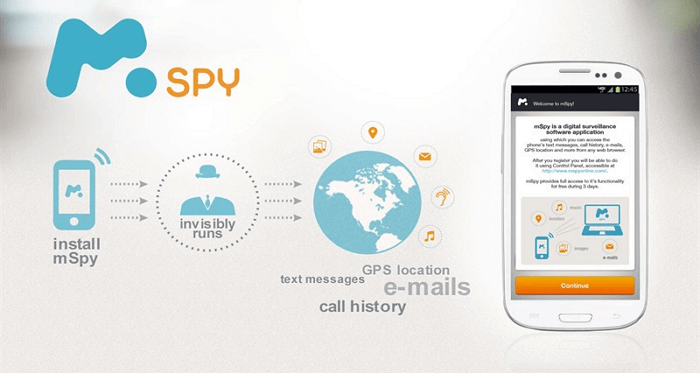 You have surely heard about the incredible SMS tracker, TheTruthSpy? The small and incredible details of the app are enough to blow your mind and keep your child safe and protected. You may be wondering what the fantastic features of it are? Here, take a look. Gives you the chance to record the usage of different apps. Everything that is typed on the target phone will be revealed. You can read the contact history. Viewing multimedia files is possible. You could trace the iMessage even if it was deleted. To enjoy maximum results, you have to purchase the app from the app store. Another parental app for kids with an iPhone. Though, it works brilliantly on iPad and Android devices as well. You will get the chance to know what the person is doing with their phone anytime you want. 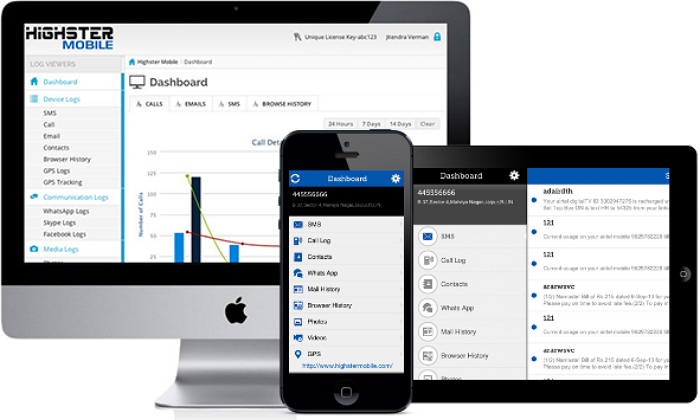 View call log details and text messages. Monitoring online activities is possible. You can easily track the SMS received and sent on the target device. Viewing call logs and going through the call history becomes possible. The other SMS tracker apps discussed above works for Android devices as well, but this one doesn't. Now, that we are done with the list of SMS trackers for Android, it is time to take a glance at the best SMS trackers for Android. 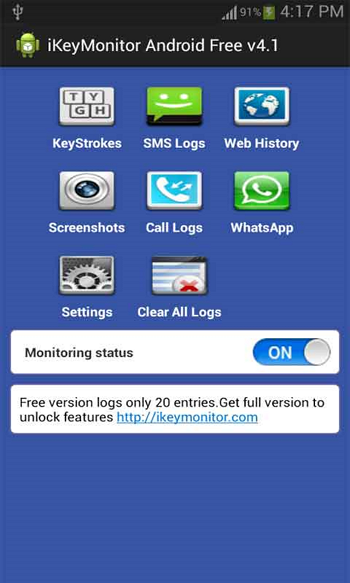 It is considered to be one of the best SMS monitoring tools for Android devices. mSpy comes with several features that you can make the most of. The SMS tracker for android uses an advanced algorithm. All you must do is download it. Keeps track of call logs received and sent photos/videos. Keeps children safe from predators, bullies, and other kinds of inappropriate content. 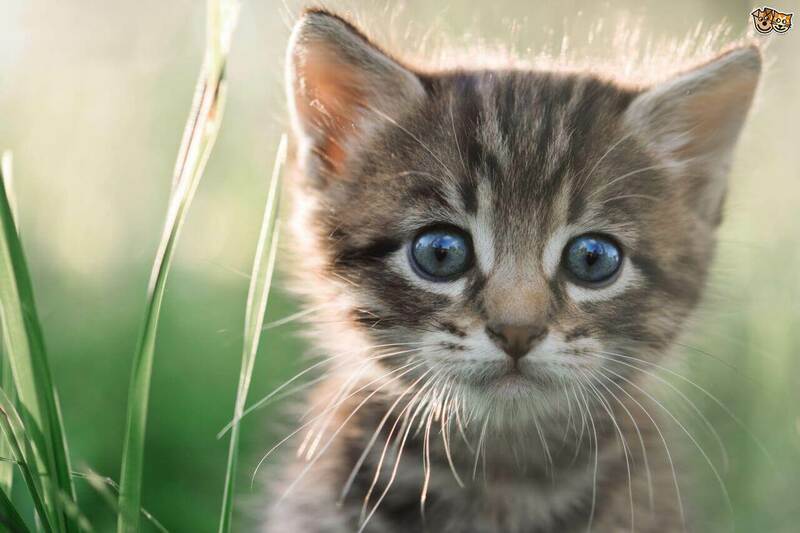 It is very expensive for everyone. No voice call recording available. Great technology along with incredibly easy to use is what this SMS tracker for android is all about. It has been in the market for quite a long time now and good enough reasons. Are you interested in taking a look at the features it offers? Keep a track on messages and pictures. You can access the stored-up data in the target's phone. Blocking different apps on your child's phone is easy. A heavy price needs to be paid. Doesn't have any customer support services. Track and monitor any phone with this SMS tracker. 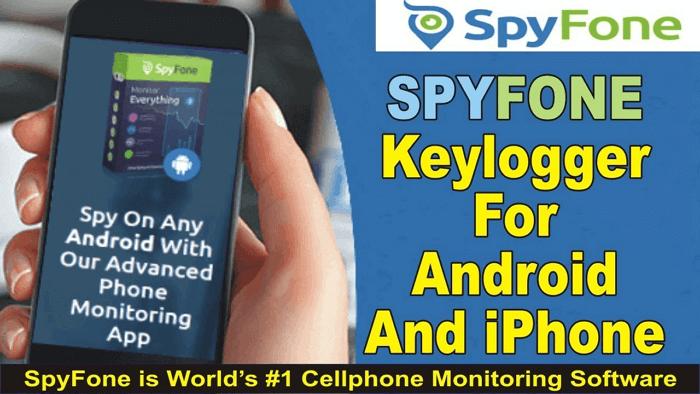 The easy to use steps of the SpyFone tool kick starts the process of monitoring your employees, spouse, and children. It can make the process of monitoring kids very easy. No more worrying about what your children or spouse is doing online. Offers real-time location of the target device. Another app for Android devices. You can easily get access to voice messages that have been both received and sent. 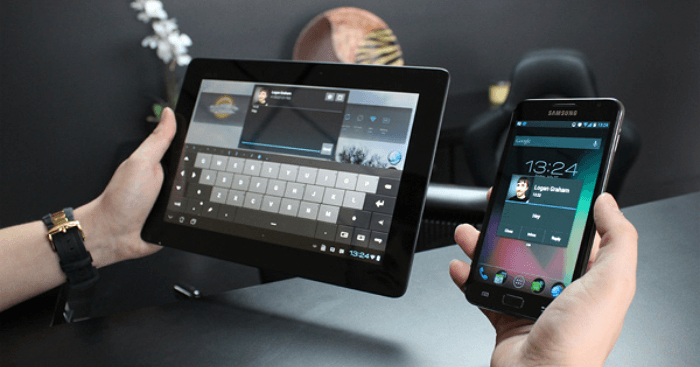 It is specially made for Android devices. Tracking of messages that are sent and received. You can view the websites they browse through. It has a keylogger feature. You will know everything your child is doing at all hours. It is designed for every parent who wishes to know what their children are doing. It comes with some incredible features. View texts and call history. Possible to view web history. With the use of this SMS tracker for Android devices, you can track several devices at the same time. Isn't that something? Rather than constantly worrying about whom your child is talking to or in touch with you will now know for sure. TeenSafe doesn't come with a reliable live chat and 24/7 customer support. How does FamiSafe help to keep your children away from suspicious texts? 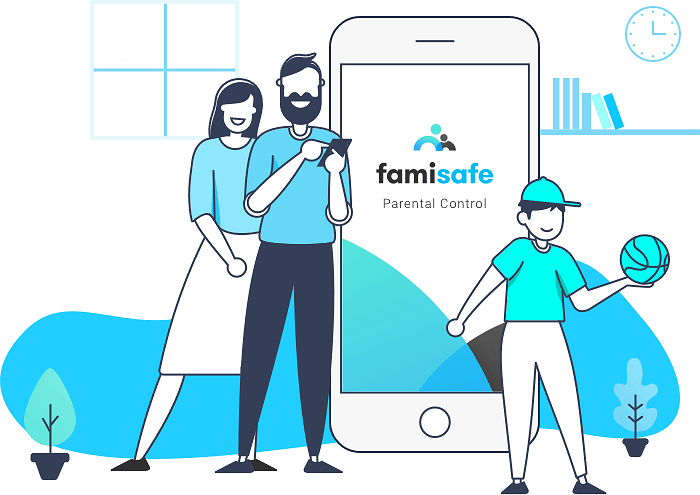 When you are connected to your child's phone via the FamiSafe tool, you will get automatic alerts on your phone if there is any potential risk of cyberbullying, harassment, inappropriate content that isn't suitable for your children. Parents can perceive suspicious contents and can get alerted on offensive words in their child’s text messages. They even can add the offensive words to get alerts and safeguard their kids against online bullying. The present world is all about globalization and digitalization, each day several new technologies and inventions are popping their head. Communication has particularly become very easy and effective. This creates the need for protecting your little ones from cyber bullies and fraudulent activities. The above-discussed SMS trackers will do that job for you.